It is expected that construction output growth will continue in the UK in 2015 and also continue to broaden out beyond house building. Output in the UK construction industry increased 5.8% year-on-year between January-November 2014, with both new construction as well as repair and maintenance increasing (up 5.7% and 0.1% respectively). Within new construction there were increases in new housing (up 21.9%) and private industrial construction (up 8.8%). Construction activity has continued to broaden out beyond house-building. Demand for housing has softened over the last couple of months and has become more aligned with supply. According to the Office for National Statistic’s House Price Index, house price inflation decreased to 10.4% in October 2014, from 12.1% in September 2014. It is expected that construction output growth will continue in 2015 and also continue to broaden out beyond house building. According to the Construction Products Association output will increase 5% in 2015, followed by 4.2% in 2016. House builders have not scaled back their build programmes in late 2014 and early 2015, but this is expected to happen in the course of 2015 in response to some softening in housing demand. Growth in the commercial construction subsector is expected to increase (e.g. out-of town-shopping and big city projects and factory expansions). Office development had also picked up. A proportion of this was however deemed to be speculative in nature. Infrastructure projects are also expected to increase in 2015 and beyond. Despite the rebound, the construction sector is still affected by trailing effects of the past recession. This became evident in 2014, with a high number of profit warnings, senior management changes and reported losses. The on-going problems are particularly noticeable in the tendering process, as during the downturn construction companies took on contracts at conditions that were no longer sustainable in 2013 and 2014, due to raw material price increases and higher labour costs. Companies still have to find a balance between taking on work and managing costs, particularly on fixed-price contracts on which they are experiencing cost price inflation since winning the tender. This has been particularly apparent in the mechanical and electrical construction sectors. Overall there is the perception that credit conditions have improved, however this accounts only for banks competing hard for lower risk business with larger, asset rich construction companies. For many smaller businesses access to bank finance has remained difficult or subject to unattractive terms. There is evidence that non-bank alternative funding sources have grown, however the market is still difficult to tap for smaller businesses. This lack of funding will affect companies that may need to resume investment, particularly in capital expenditure to cope with a growing market as volumes increase again. Payment delays were still high in 2014 as some of the major tier-one contractors pushed their payment terms out to 90 days and in some instances even to 120 days. However with volume returning to the market the dynamic has changed somewhat as sub-contractors are now able to be more selective in choosing which contracts to tender for and therefore have more influence on the payment terms. This could have an impact on the major tier 1 and tier 2 companies as they may have to negotiate with their sub-contractors on tighter payment terms than they had previously. However, we expect the number of payment delays to remain high in the coming months. That said, construction insolvencies continued to decrease in 2014. 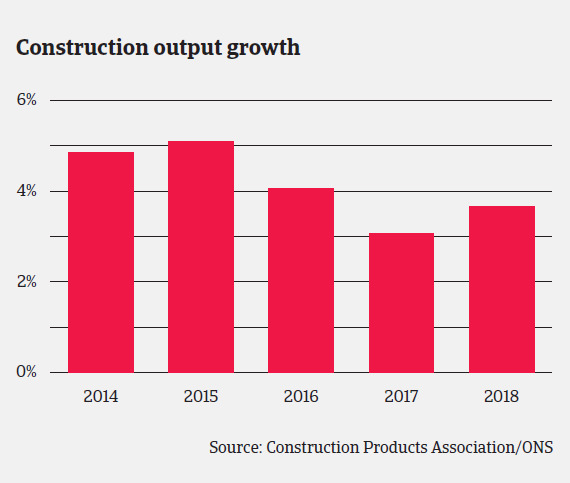 We expect construction insolvencies to level off in 2015, as lack of demand – a key driver behind insolvencies - is less likely next year, however access to finance, raw material costs and delayed payments will still be issues for the sector in 2015. 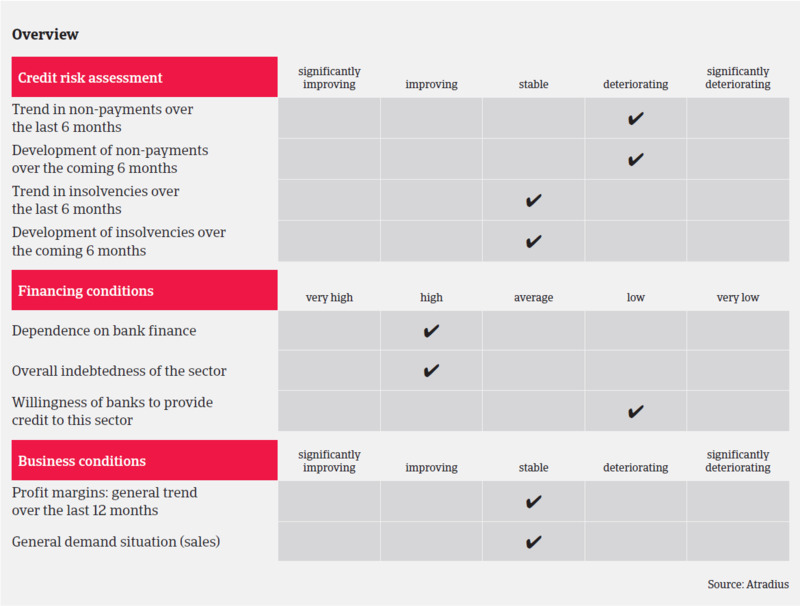 Therefore our underwriting approach will remain cautious for the time being.